One of my favorite units in my math curriculum to teach is fractions. 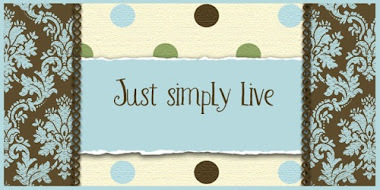 It's easy to apply the concepts to the real world and show students it is a important life long skill. Students come into 3rd grade with a basic understanding of what a fraction is: part of a whole. From there I can jump right into teaching fraction equivalency. With spring in the air, I have the perfect project to drive home fraction equivalency in a concrete, visual way. 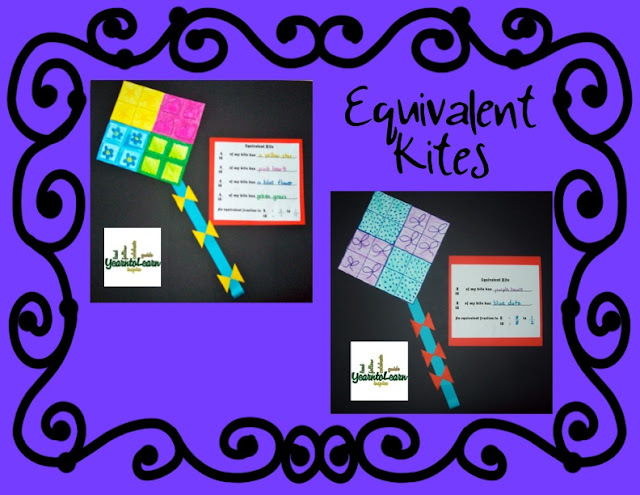 Equivalent Fraction Kites , as seen below, model fractions that equal the same: 4/16 is equivalent to 1/4 and 8/16 is equivalent to 1/2. Students have so much fun designing them and in the process own the meaning of equivalency. This project is available in my TPT store. I also have some other valuable resources to share with you that I incorporate into my fraction unit study. 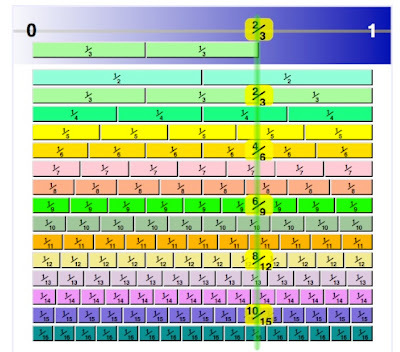 This video helps build background needed on equivalent fractions. It visually shows fractions with the same value. 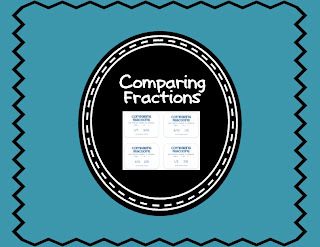 I have a set of fraction task cards that my class uses with the fraction bar interactive model. The Illuminations site has an interactive tool that allows students to create equivalent fractions by dividing and shading either squares or circles and to see the position on a number line. Great post with great bunch of information! Thanks for the post. Keep up your good work. Check back my status Best Math Puzzle. (Y) always write post like of above. It's really amazing to read such post.